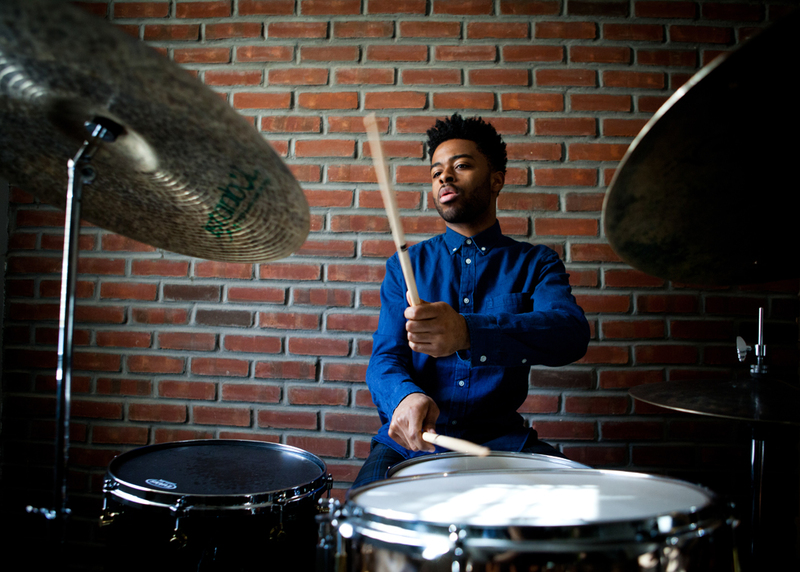 There’s a good chance you’ve heard Jonathan Barber in groups led by Jeremy Pelt, J.D. Allen or Christian Sands. His focused fire and dynamism recently led to his recognition as “Best Up & Coming Drummer” in the 2018 Modern Drummer Readers Poll. Now comes Vision Ahead, which he just released on his own label — a debut album that puts him forward as a clear-eyed and confident bandleader besides. The album was inspired in part by tragedy: the death of Barber’s brother, in 2016. Within his fog of grief, he took heart in the phrase “Vision Ahead,” claiming it as an exhortation. And that sense of forward purpose is clear on the title track, which Barber composed with the phrase in mind: it begins with a pair of vocalists (Sasha Foster and Denise Renee) spelling out “V-I-S-I-O-N Ahead,” with chantlike asymmetries of pulse. The melody then quickens and smooths out, with saxophonist Godwin Louis and guitarist Andrew Renfroe forming an articulate front line. A Fender Rhodes piano solo, by Taber Gable, leads into a stylish blur of percussion over the outro vamp, which echoes the invocation.